Who Would Win a Race of a Whippet Vs. a Greyhound? In a short race, an average whippet can beat an average greyhound; however, in a long-distance race, an average Greyhound can beat an average whippet. Whippets are faster off the starting line and excel at short distances and making sharp turns, but Greyhounds are the faster dogs across longer distances. Whippet races are usually quite short, between 150 and 350 yards long, with the dogs running at more than 30 miles per hour. Greyhound races cover 550 to 770 yards. 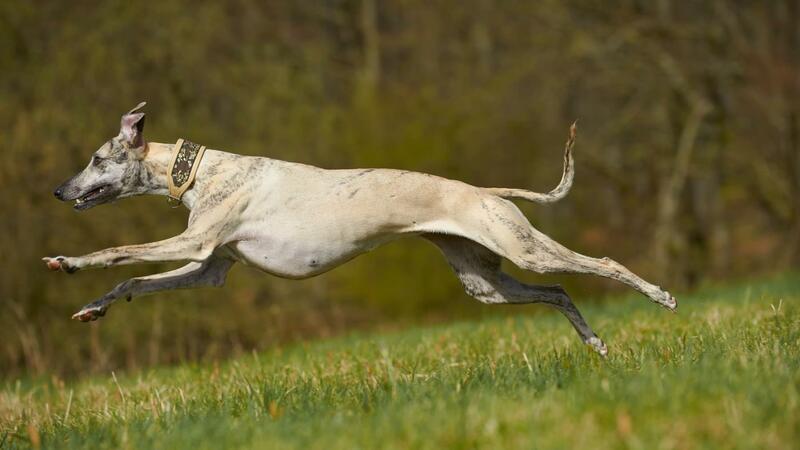 The greyhound can achieve speeds of 45 miles per hour. Whippets are considerably smaller than Greyhounds, averaging only 20 to 40 pounds versus 60 to 70 pounds of greyhounds. What Is the Toll-Free Number for Greyhound? Where Do You Find Greyhound Lines Fares? What Is a Good Walking Schedule for a Greyhound?